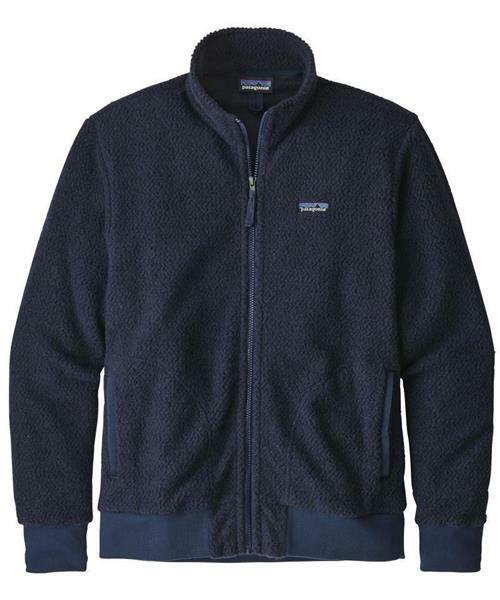 We make the welcoming, easy-to-wear Woolyester Fleece Jacket with a breakthrough fleece fabric that blends recycled wool with polyester and nylon. It dries quickly, manages moisture and feels soft-to-the-touch to keep you warm and comfortable across a wide range of conditions. With heritage design lines from our traditional fleece patterns, combined with the future of recycled fabric blends, this fleece is soon to become an instant classic. It features a stand-up collar to warm your neck and a Vislon® front zipper lined with twill tape that reaches to the chin for weather protection. Two handwarmer pockets, trimmed with twill tape for easier in’s and out’s, protect your hands and your valuables. Rib-knit trim on the cuffs and hem seal in the warmth. Hip length. It’s also Fair Trade Certified™ sewn, which means the people who made it earned a premium for their labor.